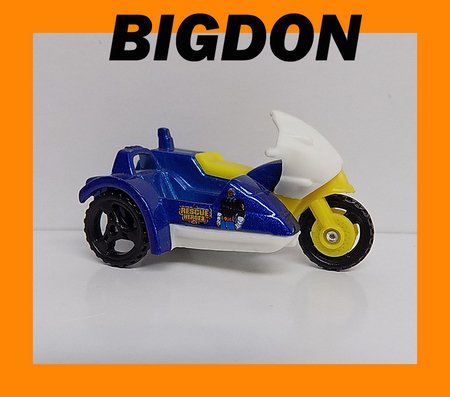 Description: MB Cycle With Sidecar - RESCUE HEROES 5 PACK 2003. U.S. SHIPPING: These Prices are for a regular Carded or loose Model : 2-3 Cars $6.50 / 250g (0.551 lb) : 4-8 Cars $8.50 / 500g (1.1 lb) : Up to 12 Cars/ $12.75 (2.2 lbs) : Over 1kg (2.2 lbs) Box is Shipped Canada Post Expedited. INTERNATIONAL & CANADIAN CUSTOMERS AIR MAIL ONLY. Please check with me for INTERNATIONAL & CANADIAN shipping quotes before buying. Check my other Matchbox Models. I will be listing many new items all month. I will always combine shipping . Thanks for stopping by!